Disclaimer: This post is an odd part of our Picture Sunday Series. 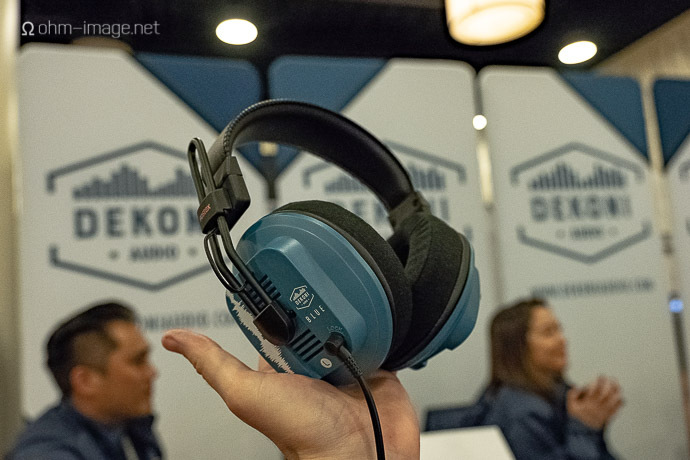 I went to an event abroad, Canjam Socal 2018 by Head-Fi. Abroad! One doesn’t fly from Tokyo to Los Angeles, stay in The Roadway Inn near L.A. Live, and then fly up north on a sardine jet for fun. One braves the smell of pee and sidewalks bumped with discarded chewing gum only on a tight business budget, and only if they have other, unrelated, business to attend to. The unrelated business to which I attended was furniture: stuff my dad made back in Sweden, in the late 1970s. Beautiful stuff. 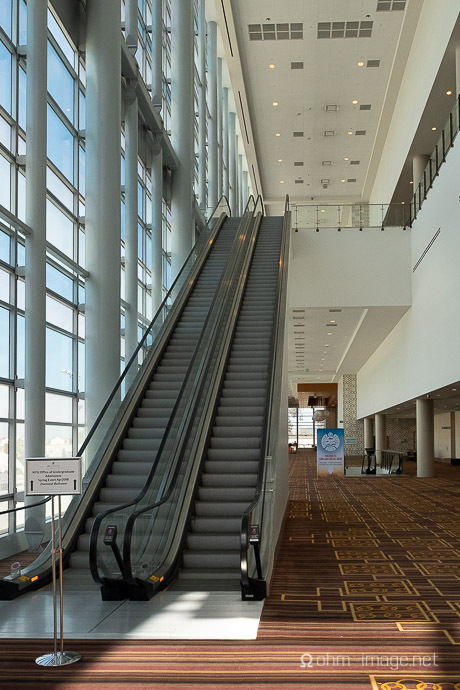 Obviously beautiful stuff was to be found at CanJam SoCal, but I was there for furniture first, and to meet with clients both old and new, and to forge new partnerships, second. The above sounds more like a disclaimer than it does a preamble, but I’m not sure how else to describe my trip. I LOVED street tacos, hanging around cool headfiers from across the USA and a few from abroad. I stuck by a few of my favourite booths and joked with a few of my favourite makers, whilst ducking the rest of the show. The following cool stuff lured me out. 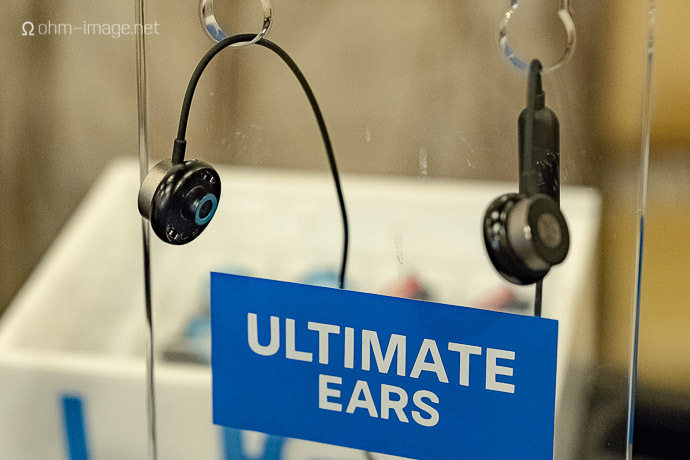 Ultimate Ears automated custom earphone thingy is automated, app-controlled, and probably not ready for prime time. I met the team, chatted problems I had in previous attempts, and agreed that if and when ready, this probably will be the future for many people. 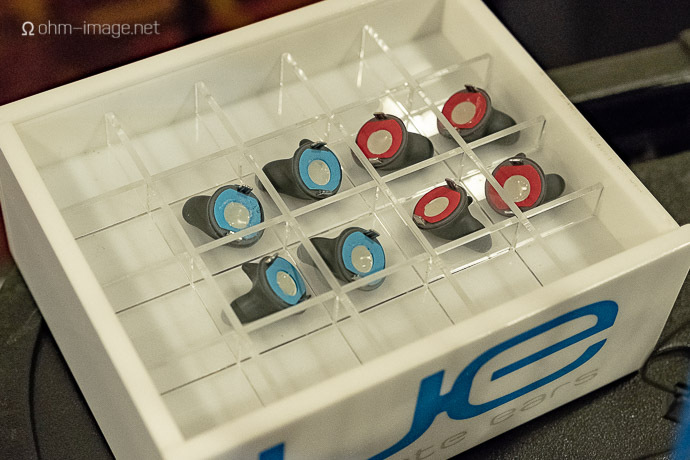 The system puts heated earphones behind a ring of jelly-like stuff that heats in-ear, and instructs you every step of the way thanks to a dedicated app. Perhaps due to my ears being small-ish, I may or may not have gotten seal. 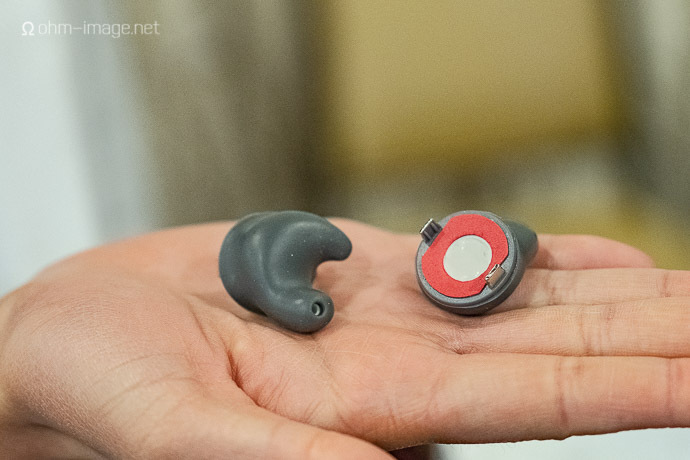 As you can see in the photo below, customs make from audiologist impressions and from this thingy look different. The owner of both earphones says that both fit and sound just fine. This is a system to watch. 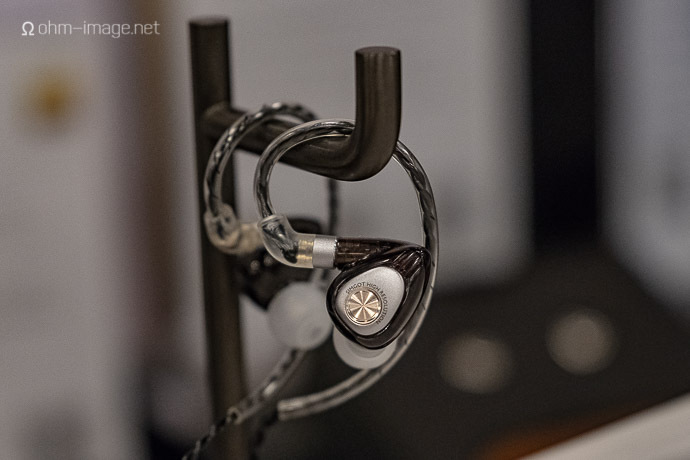 Simgot have a bunch of new earphones coming out. 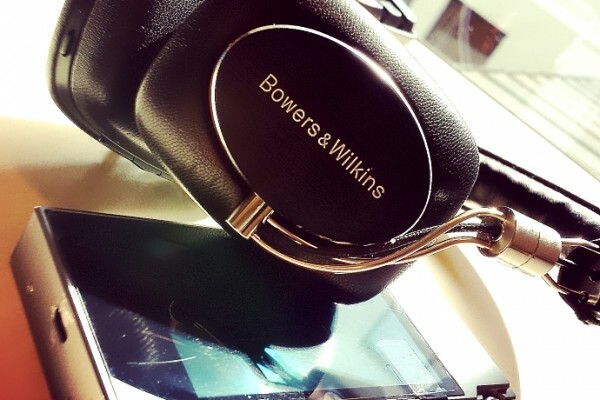 Be sure to check them out as what they make sounds great and comes at a great value. 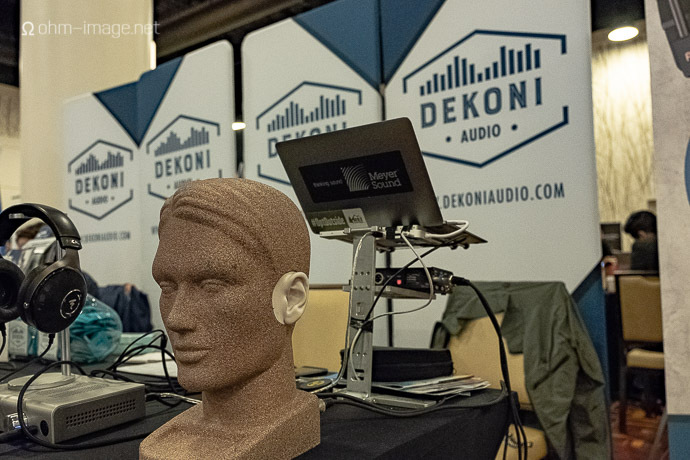 Dekoni brought a head with which headphone-toters could take ad-hoc measurements. 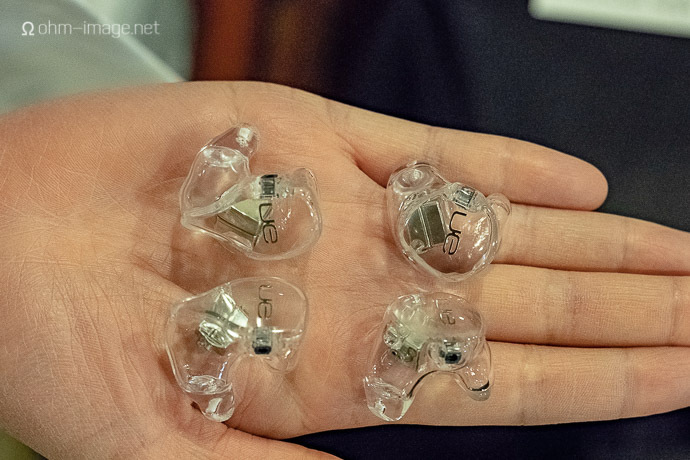 Their booth showed off pads made to fit various high and low-end headphones from Focal to Fostex. I walked away with this blue tailored badboy. We’ll talk about it later. 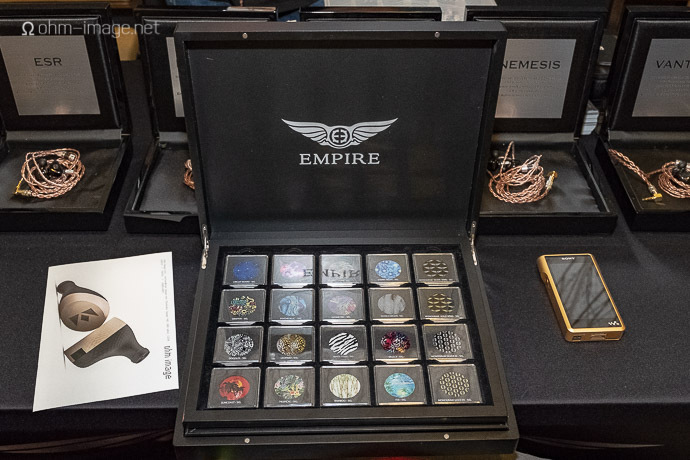 Empire Ears showed me three plates of custom-shells as well as their latest earphones. I ended up liking the non-hybrid the most, which surprised me, but each was incredible. These guys are working hard. 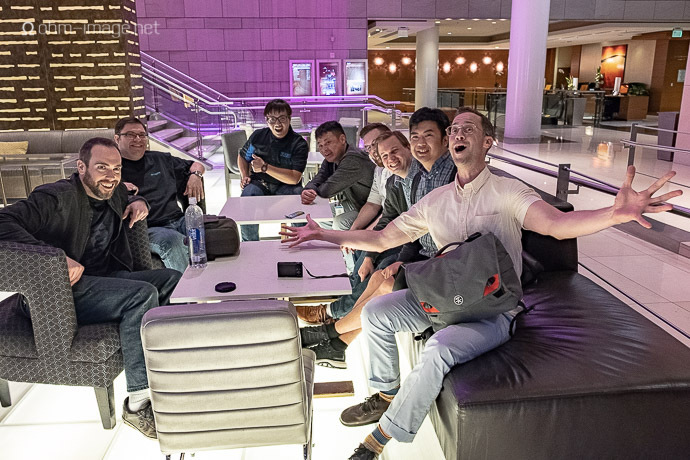 Finally, I was able to meet (briefly) with a bunch of local-ish headfiers. Each outclassed me, my knowledge of what’s going on today, and my passion for everything audio. Hats off, dudes. One guy even looked like House. If I make next year, likely it will be Singapore. L.A. is pretty cool, but also a bit stinky. I loved California beer (the likeness of which won’t be found in Singapore I’m sure) and the Californian swagger. But gosh, darn, it’s a long way. Many thanks guys! By the way, Jude took this photo, probably. What is the brand of that Silver Laptop Stand in the above photo? Thanks!